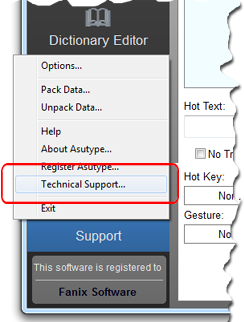 Click the "Support" button in the Main window and choose the "Technical Support" command from the pop-up menu. 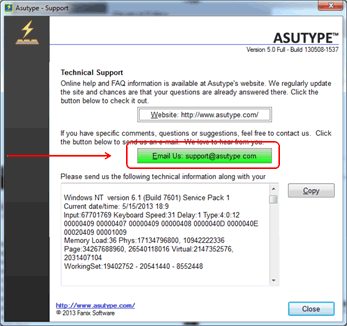 Click the "E-mail Us: support-at-asutype.com" near the center of the dialog box. Your default e-mail window will be launched with the information we need already filled in. Simply click "Send" to e-mail us.